Search "lemon" 3 results have been found. 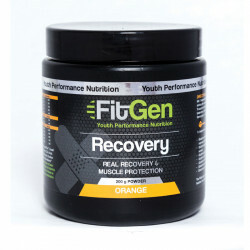 FitGen Compete is scientifically a very advanced intra-race product developed. Recovery is essential as the body adapts to exercise and training by replenishing energy stores and repairing damaged tissues. Without it the body continues to breakdown. FitGen Endurance supplies energy to athletes who require short but intense bursts of energy, as well as athletes who require a sustained release of energy over a long period of time, without lowering the blood glucose levels after the energy burst.